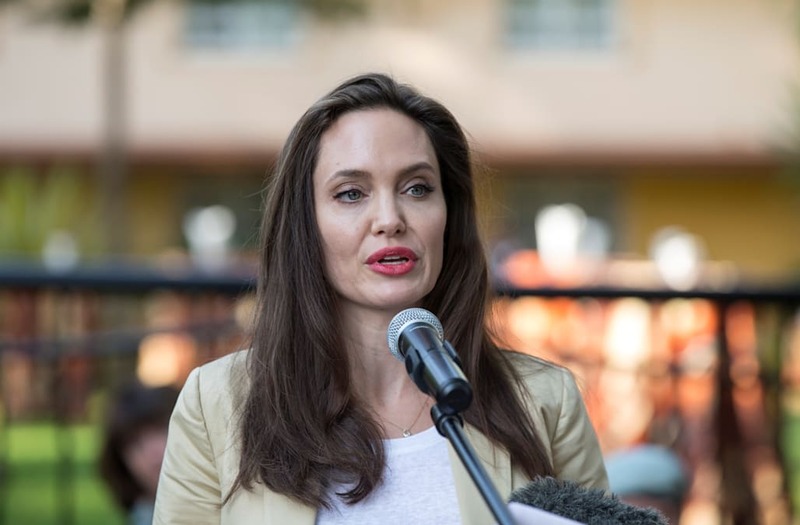 Angelina Jolie is refuting a Vanity Faircover story that described a controversial casting process for her movie "First They Killed My Father." According to the excerpt, Jolie and her casting associates placed money on a table and allowed the children to take it. However, after taking the money, the director then "caught" the kids, and forced them to explain why they needed the cash. Srey Moch was ultimately chosen for the part. "Srey Moch was the only child that stared at the money for a very, very long time," Jolie is quoted as saying. "When she was forced to give it back, she became overwhelmed with emotion. All these different things came flooding back. When she was asked later what the money was for, she said her grandfather had died, and they didn't have enough money for a nice funeral." Jolie now says that the process described in the profile was misconstrued, and was "a pretend exercise in an improvisation, from an actual scene in the film." In a statement to Huffington Post on Saturday, Jolie wrote that she was "upset" by the allegations. "The suggestion that real money was taken from a child during an audition is false and upsetting," she wrote. "I would be outraged myself if this had happened." "First They Killed My Father" is based on the 2000 book by Loung Ung. The story is a personal retelling of Ung's survival of the Pol Pot regime. The film will be released on Netflix. Jolie's reps did not immediately respond to request for comment.